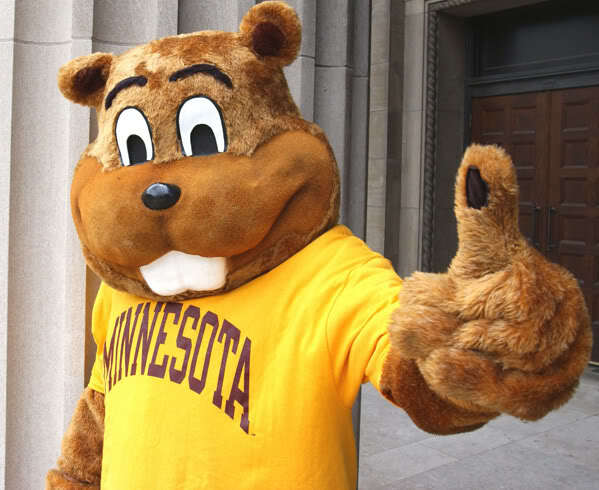 This week…I grew to understand what it is to live in Gopher Nation…as an immigrant. Most of you know that I am a transplant to the midwest. I was born, raised, educated, married and blessed with our first two children…in Colorado. I am still learning what it means to call Minnesota home. As part of my efforts to fully appreciate some of the best parts of this state, I take advantage of any opportunity I have to do something that is uniquely Minnesotan. This past week I had a chance to attend two separate sporting events at the University of Minnesota. 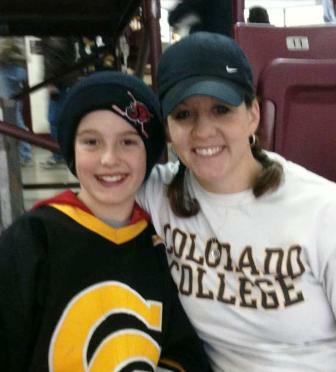 Big Sprout and I went to the men’s hockey game against Colorado College (my alma mater). And then on Saturday I took all three sprouts to meet some friends who had a daughter competing in gymnastics for the University of Michigan. Going to events at a university that size was a new experience altogether. Over the course of my life, I have been to a few big hockey games at Denver University, and I saw a handful of college football games at the University of Colorado and the Air Force Academy, but I have never considered myself a part of a University Nation. This past weekend changed me. I came to appreciate the fanfare, the hype, the enthusiasm, and the sense of belonging that comes with being one of thousands of people donning the same colors and cheering the same cheer. It took an immersion in Gopher Nation to gain a better appreciation for the community that represents Minnesota so well. What I grew to know about Minnesota this week. 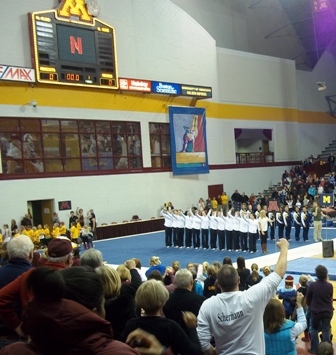 What I know about Minnesota through gymnastics: Gymnasts are more talented and flexible than I will EVER be. Actually, for that matter, there are a lot of talented people who spend their time as students, musicians, athletes, and even mascots at the U. Do you have any stories to share about how you grew this week? Do you know you’ll be doing something cool this upcoming week? Take your camera…take a picture…send me a link and I would love to share how you are growing too. To learn more about Meagan Frank or her current book project you can learn more at www.choosingtogrow.com. ← Where’d You Grow Wednesday? What a great week you had! There is something about university sporting events that still excites me, even though I only ever participated as a spectator!